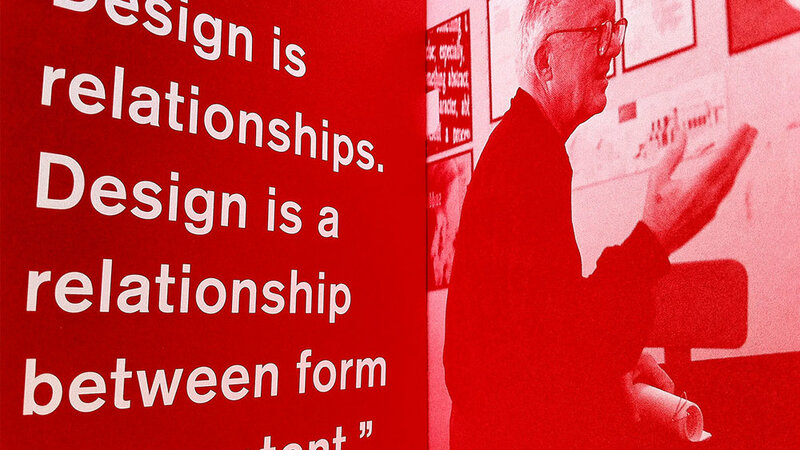 I recently read a tiny little yellow book called Paul Rand: Conversations with Students. At roughly 80 pages, it takes you into the mind of one of the world's most renowned graphic designers. The book follows an 81 year old Paul Rand as he converses with some faculty at Arizona State University, then to the students. He first talks to Michael Kroeger(the editor of the book) and Mookesh Patel about the definition of design. The banter between the three of them is humorous and extremely informative. It makes you think about the question, and also inspires. If you are a graphic designer, you know who he is. If you are not, you should still know who he is. Rand is the genius behind many of the worlds corporate icons such as ABC, IBM, Westinghouse and UPS. There are more complex books out about Paul Rand, and also by Paul Rand (which I would highly recommend; one being Paul Rand: A Designer's Art), but this book captures a no BS Paul Rand; old, wise, and telling you how it really is.